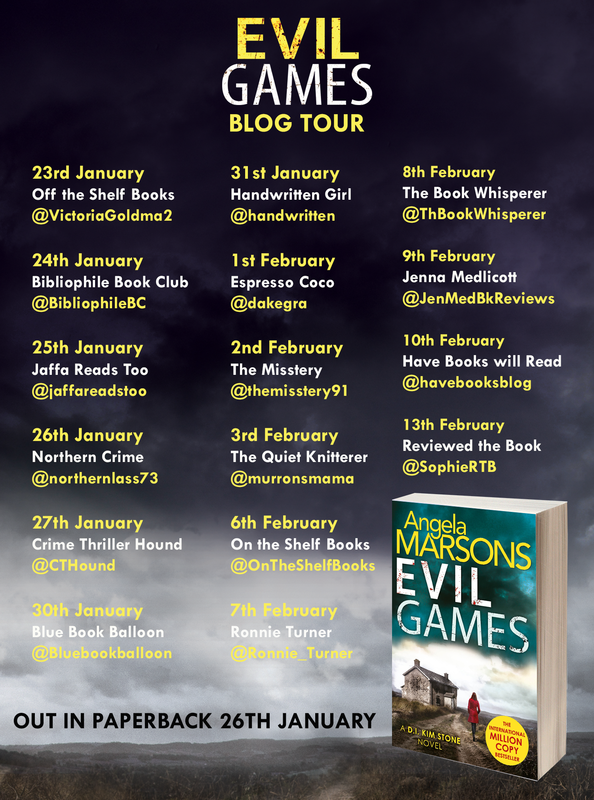 Today I’d like to welcome Angela Marsons to the blog. Angela is the author of Evil Games (more on that later!). Angela has been on the blog before talking about tips for aspiring writers, and is back again, this time to talk about the role of manipulation in daily life. Without futher ado, over to Angela. While researching the art of manipulation I was astounded at some of the techniques used in our everyday life. Although I was primarily interested in one on one influence it became incredibly useful to learn about subtle manipulations that occur in our everyday life. We already know the subtle manipulations used by supermarkets in the placement of products to encourage the shopper to walk the entire store even for just a couple of purchases. Essential items are positioned far away from each other. Soft music is played to relax the shopper and slow them down, encouraging them to peruse. Sale and roll back signs are placed at eye level appealing to the bargain hunter in us all. Impulse buys are placed strategically en route so that only the most disciplined shopper will leave with only the items on their list. But one thing I found incredibly intriguing was the use of colour, especially in the retail sector. Millions of pounds have been spent in analysing the psychological associations and properties of colour. Many food outlets use the colour red as it stimulates the appetite and is seen as an action colour. Mid to dark Blue is perceived as stable and intellectual. We trust the colour blue. Yellow represents emotion and violet spirituality. We gain comfort from the colour Orange and balance from anything Green. I found it very interesting to match the colours to many top name brands. Subtle manipulation is used by most sales people. Many use techniques such as mirroring which is when the person affects a similar demeanour or behaviour trait like scratching the nose or rubbing the chin. We trust familiarity and this assures us on a subconscious level that we are dealing with someone who is similar to ourselves. More obvious are the techniques of gleaning a great deal of information from someone by asking just a couple of questions and then tailoring their pitch to those facts. While researching Evil Games I was walking around a local dealership looking to change my car. A very personable young salesman quickly extracted from me that I was a writer, a dog lover and that I was in the market due to a change in circumstances. The salesman proceeded to Google me and then talk at length about my books demonstrating an enthusiastic level of interest. He then attempted to sell me a top of the range brand new vehicle which I didn’t want. I left the showroom without making a purchase as he incorrectly assumed I wanted some kind of status symbol. Had he listened more closely he would have understood that I wanted to change my car due to my dogs decreasing mobility and would have stood a better chance of a sale if he had told me he had a dog himself. It is a subject I researched to write a book which ultimately also helped me spend just a little less money at the supermarket. Thanks Angela. 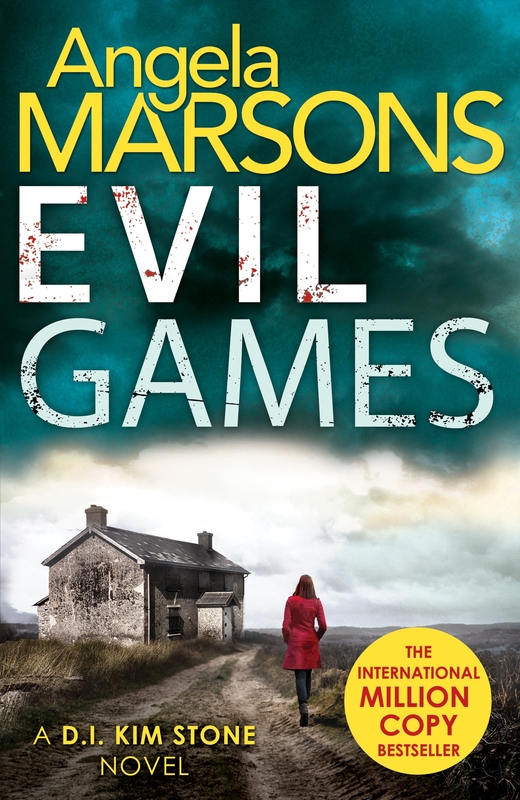 Evil Games is published by Zaffre on 26th January 2017. You can order a copy here. 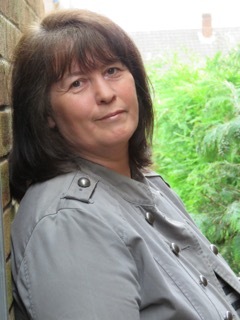 You can find Angela on twitter @WriteAngie. Go say hello! I often wonder why they choose certain colors for large shopping centers. I once went to a Target that had an awful color scheme that was some sort of light brown for flooring and signage and red for most everything else, it felt unsettling – like some sort of anti-Ikea. Haven’t seen tat since, makes me wonder what they were going for.